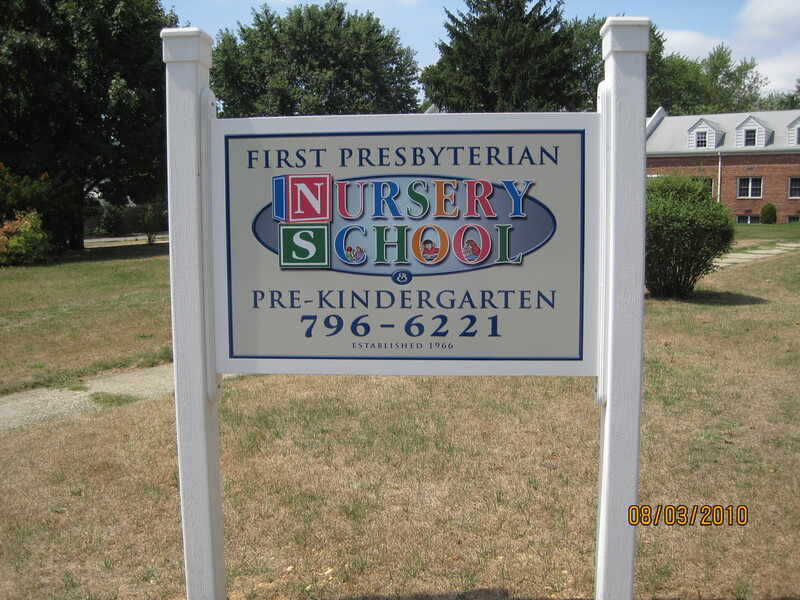 Since 1966, the church has run a Nursery and Pre-Kindergarten School whose purpose is to provide opportunities for the development of physical and emotional growth of preschool age children. It was designed to be a community service with no religious curriculum being taught. Primary emphasis is furthering citizenship, cooperation, socialization, pre language, math and science skills. The school began modestly in the home of one of the members, twice a week with four teachers. Soon the enrollment grew large enough to move to the lower level of the sanctuary, where they utilized two rooms and had an enrollment of 35 children. Today the school occupies seven rooms with an enrollment of 130 children and 12 teachers who hold 8 classes a week. The school is one of the few that conducts eye exams. Celebrating our 50th Year of Quality Education to the Community!